Happy Monday sweet friends! 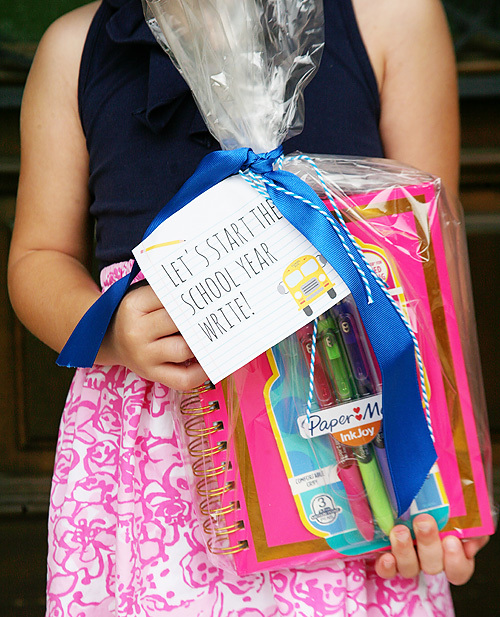 Last week was filled with more meet and greets, back to school prep, and first day excitement of the preschool sorts. So on this Monday we are officially sinking into our school year routine and saying goodbye to summer break. L.C. was all sorts of excited to go back to school since all of the other Mini Magnolias had started back a few weeks ago. 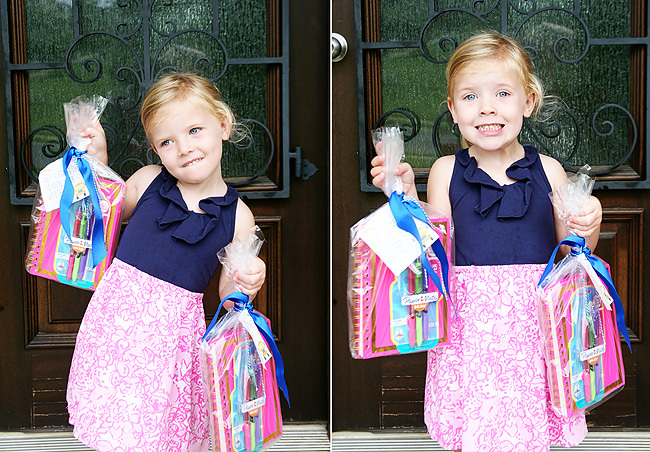 She and her fellow preschool friends have been talking about school excitedly ever since. To say she was pumped when it finally became her turn was an understatement. 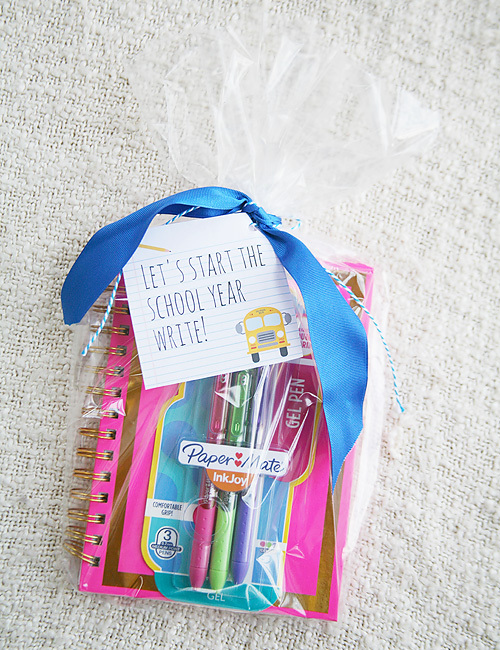 We just love putting together little gifts for our teachers each year for meet and greet day, and I totally agree with Carrie Beth when she said while sharing her Meet and Greet Gift Baskets that bringing a little something helps break the ice, especially if you have a shy child. 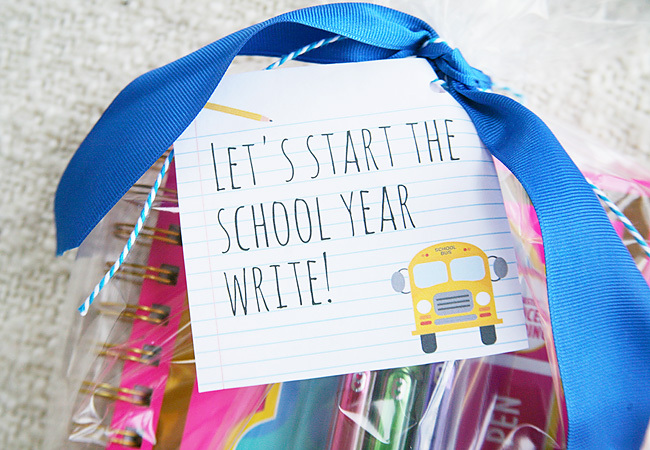 I wanted to keep things fairly easy this year, so we put together this little writing themed gift. I whipped up the printable and we were ready to go. It's super easy to put together your own! 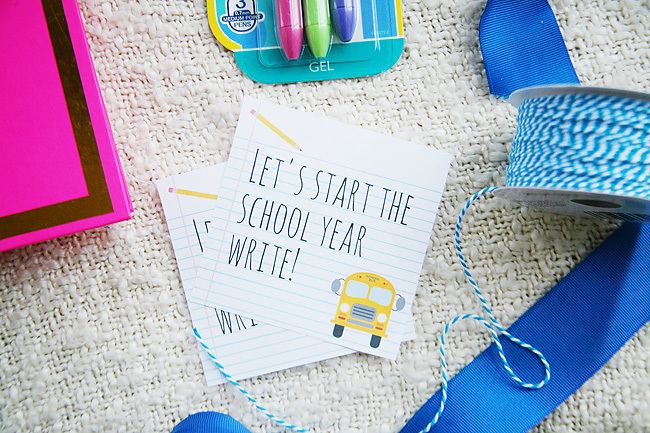 Download and print the "Start the School Year Write" printable. 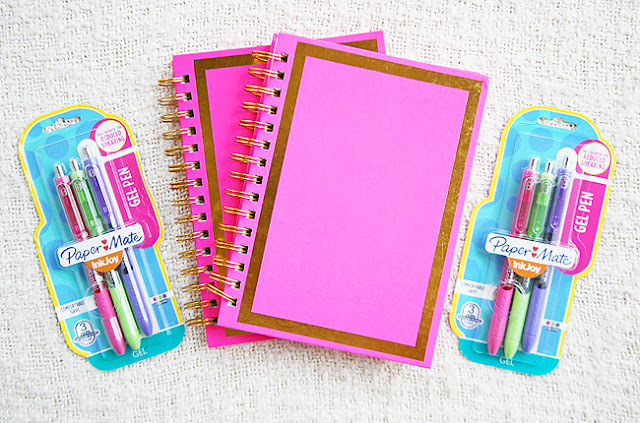 Place notebook and pens in the cellophane. Tie off with ribbon, add printable, and finish tying the bow. 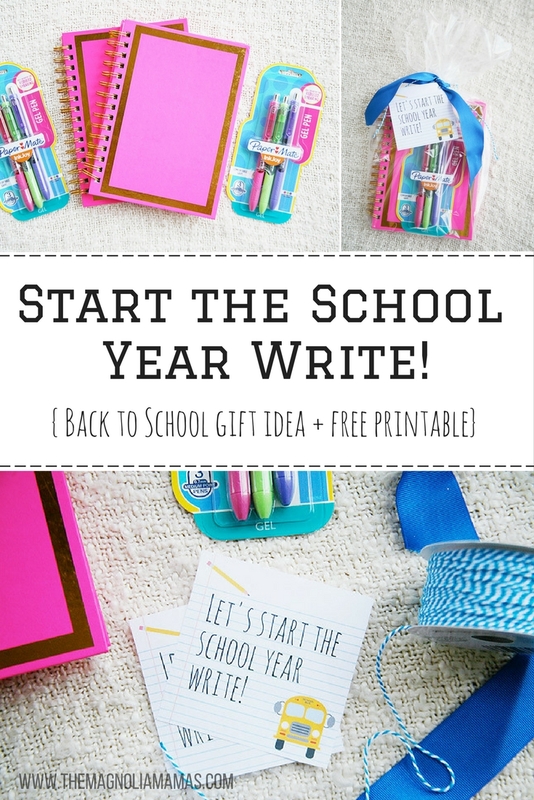 Share your gift with a teacher or student! 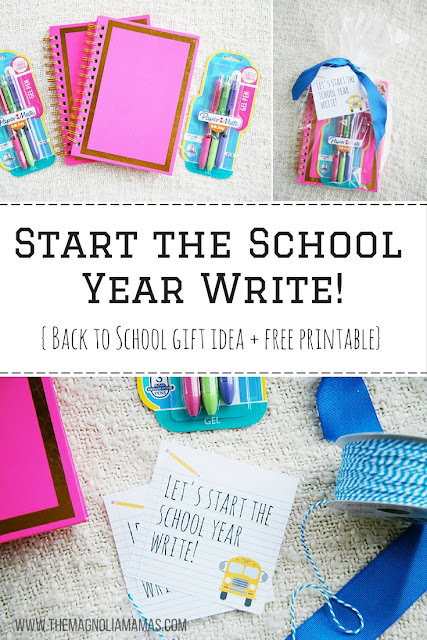 Quick, easy, and a great way to start the new school year! I also thought this could be given to new students as well, and would be a cute to include with cool pencils, fun Sharpies, or notebooks as well. Happy back to school everyone! When did or do your little ones head back?